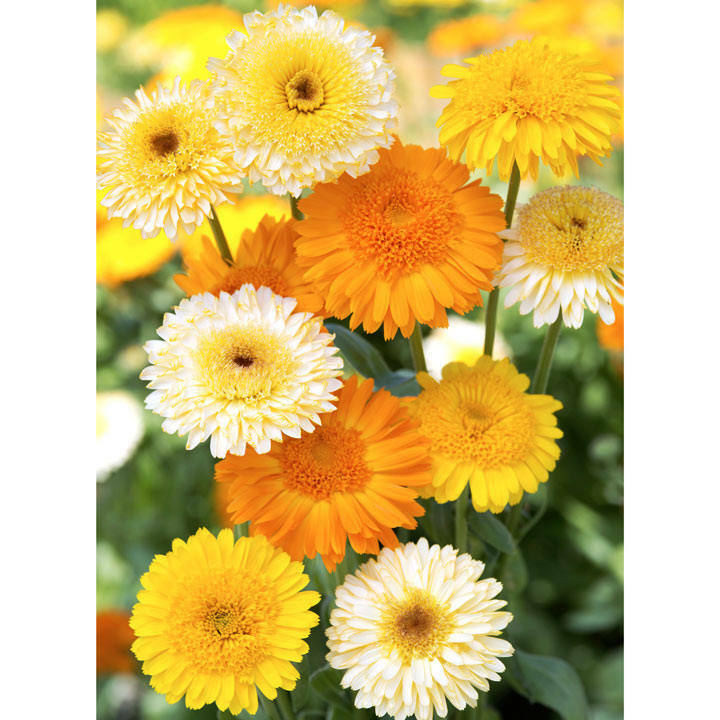 Tall stems bearing high quality, exquisitely formed, “crested” flowers in a range of orange and yellow shades. It will bloom for ages and, like all calendulas, it’s incredibly easy to grow! Improved variety. Flowers May-September. Height 45cm (18”). A plant with edible flowers. Easy to grow plants for kids or adults alike. An economical way to fill a sunny border. Sow direct outside where the plants are to flower, March-May for June-September flowering or August-September for May-July the following year. Suggested plant spacing 25-30cm (10-12”).